Thornless blackberry plants are similar to their thorned brethren, except that they are without the painful thorns. They also tend to be sweeter, juicer, larger and more cold hardy. Other than that, you will find growing thornless blackberries about the same to growing the more traditional thorned versions, without the pain. Apache is similar to Arapaho and Navajo varieties, not surprising since all three were developed by the University of Arkansas. Of the three, Apache has a larger fruit and a higher yield. It also seems to be hardier than the other two. Apache ripens earlier than Navajo, but about 10 days later than Arapaho. It has an erect growth pattern, which means it does not need a trellis. Its berries are firm with a tough skin and glossy black color. It is resistant to orange rust and other diseases, but prone to UV damage (sunburn). Another production of the University of Arkansas, Arapaho is a moderately vigorous, self-supporting plant with no disease problems. However, it is susceptible to primocane tip dieback and UV damage. Its berries are large and firm with a good flavor (but not as good as Apache and Navajo). It is also less productive and winter hardy than Navajo and Apache. Its fruit is short-conic with a glossy black color. It ripens early, making it the earliest ripening thornless blackberry cultivar. Navajo is the sweetest thornless blackberry plant produced by the University of Arkansas. It has a late ripening period--later than Arapaho and Apache, sometime in late June or early July. It is winter hardy with an erect growing habit that requires no trellis. Its berries are small to moderate in size and glossy black with small seeds. It is resistant to double blossom, but susceptible to orange rust. Ouachita is another thornless blackberry released by the University of Arkansas. It produces berries that are firm, sweet and large. It ripens about a week before Navajo and produces a high yield. It grows very erect and does not require trellising. It has good disease resistance and a winter hardiness similar to Apache, but not as hardy as Navajo. Chester is a winter hardy, semi-erect plant that requires trellising. Its fruit is medium to large and less sensitive to bleeding and UV damage. It is resistant to cane blight caused by Botryosphaeria dothidea. It has a mild flavor and ripens late in the season. The plant produces a high yield. Like Chester, Triple Crown is a semi-erect blackberry that is winter hardy. It ripens about a week earlier than Chester but later than Hull thornless. It is productive with a large, firm, sweet, glossy black berry. It has a sturdy cane system that is less susceptible to wind damage. It is susceptible to UV damage. Hull is sweeter than, but not as winter hardy as Chester. It is a semi-erect plant that requires trellising. Its berries are medium-to-large, fairly firm and prone to UV damage. It produces a medium yield. Black Diamond was the best selling blackberry from 2004 to 2005 according to United States Department of Agriculture. 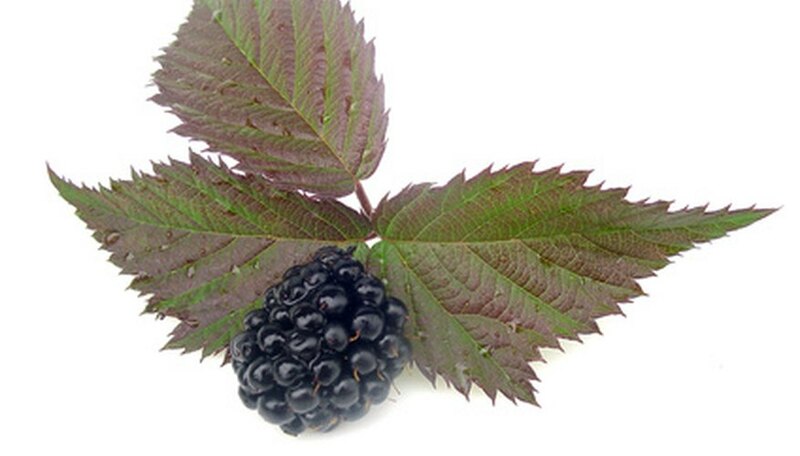 It produces a berry with a good flavor that is large, firm black with a uniform shape. It has medium-to-high yield. Black Satin is extremely cold hardy. Its fruit is small-to-medium sized and soft with a fair flavor. Black Pearl produces good quality fruit with an excellent flavor and quality. Its berries are uniform with a medium size and a moderate firmness. Natchez produces large, firm blackberries early in the season with a fair flavor and quality. It is semi-erect with no problems with disease and a medium yield. Nightfall has a high yield, but is late ripening. Its fruit is tart and medium-to-large sized, with acceptable firmness. Thornless Wild or Wild Treasure has a good yield, flavor and fruit size and appears foliar-disease tolerant. However, its canes are thin and break easily.